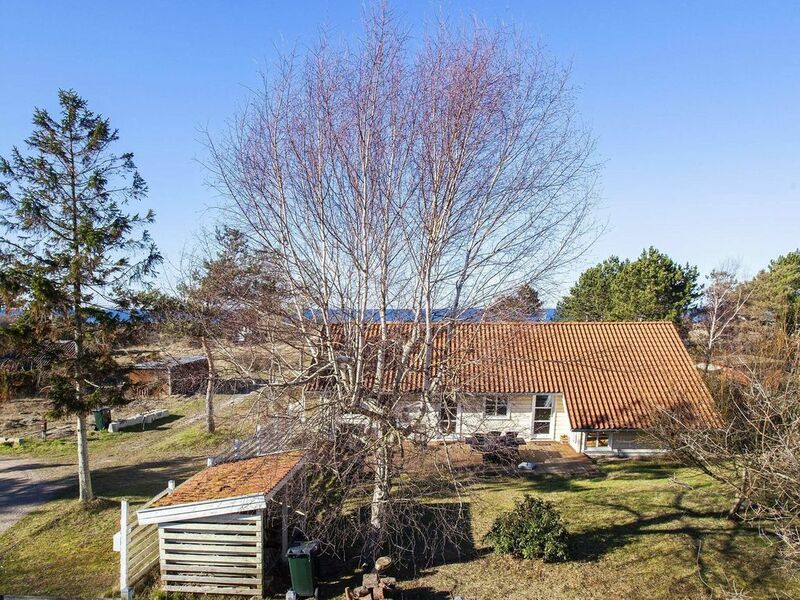 In a very attractive location with direct access to the beautiful North Beach, one of the most beautiful beach sections of Nykøbing Sjælland, stands this bright and comfortable holiday home. In the house there is a spacious kitchen / living area for family life, equipped with an open ceiling to the ridge for an airy living environment. From the living area you have access to a terrace area and to a Hems with two beds under the pitched roof. In addition, next door on the property, on top of a dune, a small Annex with two additional beds available, but only in summer can be used. From there you have a view to the sunset. In the main house also bright kitchen with good dining area. In addition, three bedrooms and two bathrooms, both with shower and underfloor heating. Enjoy the sunny days relaxing outside on the terrace with several seating areas that can be used depending on the time of day and the wind direction. Lawn in front of it for play, sport and fun with the family. Please note: The annex is not winter isolated and therefore only usable in summer. No rental to youth groups desired!